Cambodia has achieved remarkable progress over the past decade in a number of areas. Peace and stability have been restored and maintained. Economic growth has risen to double-digit rates, averaging more than 10%. And, surprisingly, Siem Reap province, which is the tourist preferred destination, is one of the poorest provinces.One main ground is the perfect correlation between the poverty index and the provincial rice yields (and the quality of the soil) in Cambodia. Located in Siem Reap province, in a particular poor area away from rice fields (to avoid any interference with insecticide and to grow silkworms), there are little job opportunities else than Golden Silk in Wat Prey village. This is the reason-why the Centre is the largest employer within twenty kilometers. Through the Golden Silk project more than 100 women have developed a skill, gained regular employment and secured regular income. These women are empowered and their confidence and independence grows exponentially through their involvement in the project. The project not only helps these women personally, but the whole community now has an appreciation for the traditional form of making silk and a connection to Cambodia proud heritage. 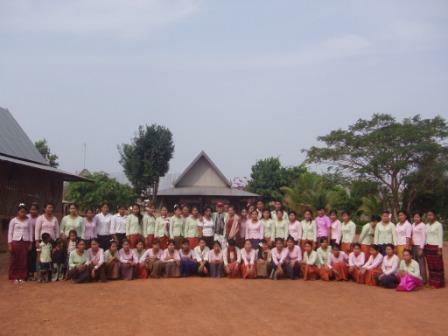 The employees are aware of their opportunity and proud to participate in the renewal of the splendor of the Khmer silks. 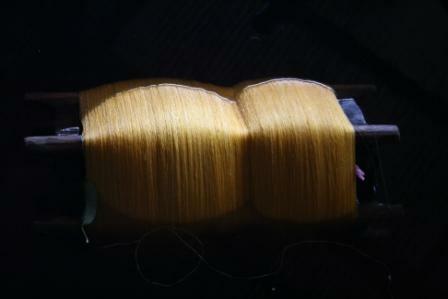 Due to the poverty of the surrounding population, many weavers are living on the premises. And, for production requirements, especially during the rainy season when silkworms’ production is important (to be spun cocoons within seven days after the end of cycle) and roads nearly impracticable, most of the staffs live in the center, which turns into a small village, underscoring the fact that Golden Silk is an employer of choice in Cambodia and in particular in Siem Reap province. As women encounter for the majority in the staff, pregnancies are prevalent and Golden Silk supports a quite important training budget to replace skills workers. Established in July 2002, Golden Silk only opened its door November 15th 2010 (opening ceremony conducted by HRH Princess Bupha Devi, former Minister of Culture) to public. Necessary training and improvement have been led during more than 8 years to reach the sought quality level. 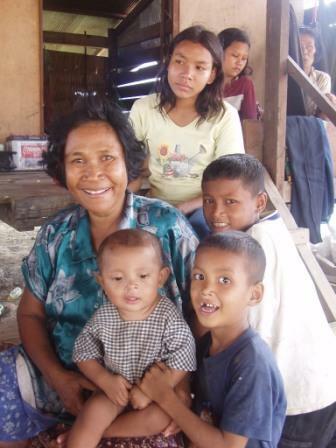 It would also be impossible to ignore the impact of Golden Silk has made on the lives of the orphans coming from the surrounding areas, who have been hired in priority, and, of the ones grown in “Sovannaphoum Komar Village, an orphanage in Battambang, funded by Mrs OUM Sophea Pheach in 1992. To obtain a silk production of 100 Kg, 1,000 kg of cocoons are needed, and 15,000 Kg of mulberry leaves are harvested…! In exchange of the participation in statistic polls on oral issues in rural areas, the staffs’ children benefit from an oral care in partnership with a Japanese dentist professor (Dr. Hiroshi Iwasaki). While silkworms represent 30% of breeders’ revenue in rural area and constitute a highly appreciated meal. 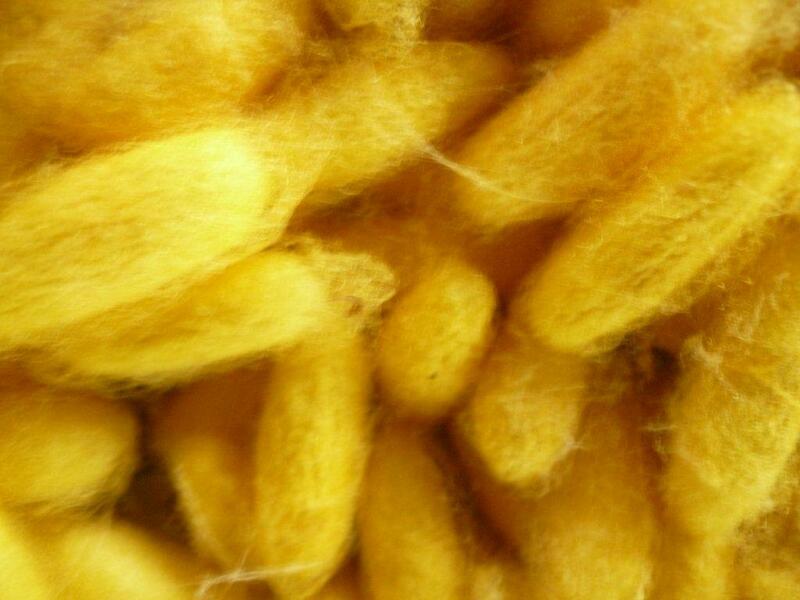 In Golden Silk, they are given to the staff and contribute to a significant complementary ratio of protein. 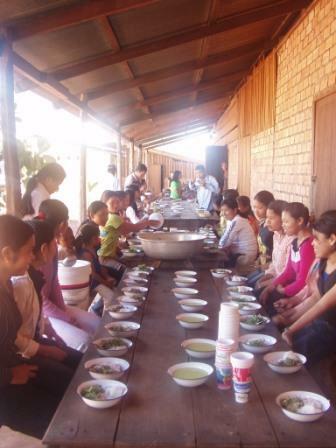 A nursery project is under assessment by “School for hope” (UNESCO program) to provide medical care and food to staffs’ children and to spread more easily the principles of hygiene.